Manufacturer Yongnuo have shown off a range of interesting photographic lighting products at a trade show in Beijing last week. In addition to the YN-560 manual flashgun, there are also some gadgets which have appeared for the first time. 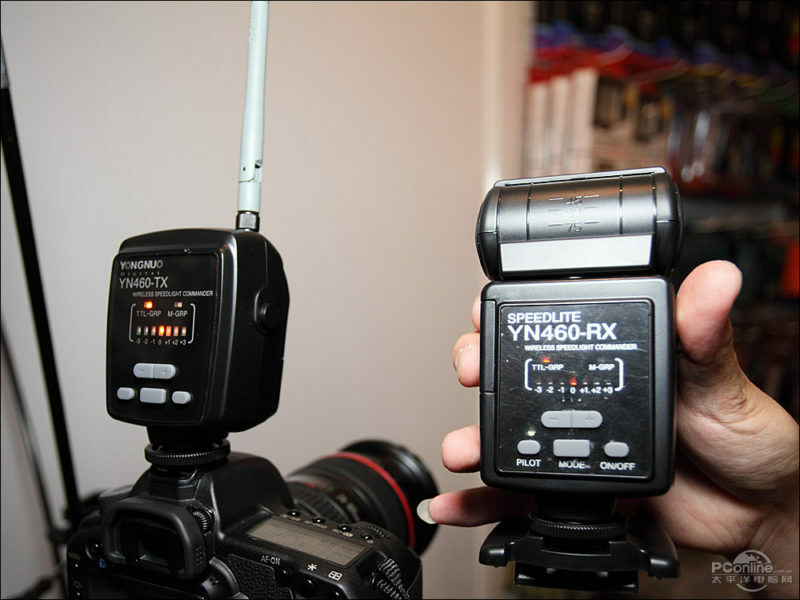 The Yongnuo YN460-TX, YN460-RX and ST-E2 appear to be the company’s biggest step in wireless technology since the 2.4GHz RF-602 flash triggers. Note: Some forum users are claiming the images are in fact not real but photoshopped. We disagree. YN-460RX. 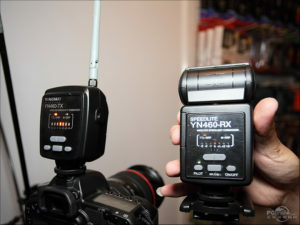 Especially the following figure cited in the 2.4G flash flash device (the transmitter) YN-460TX, and built-in receiver outside the flash YN-460RX. The YN460-TX is based on the casing of the Nikon SU-800, while the YN460-RX looks just like a classic Yongnuo YN460. The big Wi-Fi aerial on the TX is for the 2.4GHz signal. There is no obvious channel selector so it’s unclear how exactly the groups work and how many you can have. 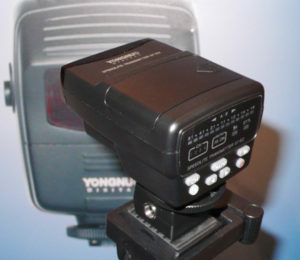 The red plastic on the YN460-TX may cover an autofocus assist lamp according to the description (above). Both sets of photographs show the YN460-TX on a Canon EOS 5D, suggesting the first production models will be for Canon E-TTL II before a Nikon iTTL version (if any). Yongnuo now mix both Nikon and Canon names of speedlight and speedlite on the YN460-RX, so no real clues can be gleaned from the spelling. The Yongnuo ST-E2 looks identical to the Canon ST-E2. It was mounted on a tripod rather than a camera at the trade show, which may or may not be significant.